Never one to shy away from a fight, BMW has developed an entirely new pseudo-crossover with muscular, sporting overtones. With the X2, it has set its sights on the Evoque. Which one will come out on top? There’s the BMW X1, X3, X4, X5, X6 and forthcoming X7, which leaves a gap in the line-up. Never one to let a niche go unfilled, there’s now the X2 from BMW, and X1-sized pseudo-crossover with sporting overtones. 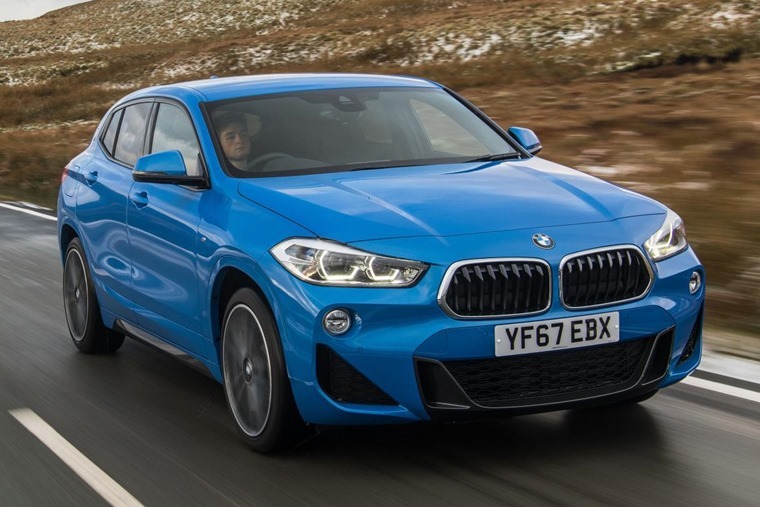 The X2 follows most of the traditional BMW styling cues, but there’s been some significant breaks from tradition too. The front end features the famous kidney grilles, but mounted upside down so they’re wider at the bottom. Follow the strong swage line along the side and the window line rises up to create that infamous kink, this time using the entire rear door and C-pillar rather than just a bit of window frame. 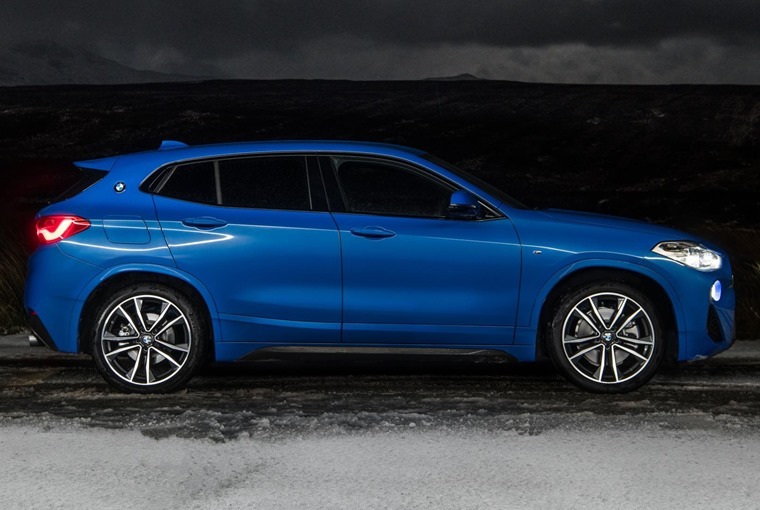 It looks good … the X2 is an X1-sized pseudo-crossover with sporting overtones. And then there’s the BMW roundel slapped onto that C-pillar. Oddly, it actually works in the metal, looking like a rather smart bit of styling rather than the result of an accident in Halfords, but once you look closely you can’t help but notice it’s not on straight. Sure, some German engineers have debated for weeks as to precisely what angle it should be placed, but, well, it’s not straight. That upsets me. Despite that, the X2 looks great. It’s all emotion and performance above that swage line, and serious SUV below it (especially in M Sport X spec with its grey cladding) while not appearing to be too large and bulky. The sporting looks are backed up by changes to the suspension that stiffen the car. It’s a few centimetres shorter than an X1, and a few centimetres lower, but shares the same wheelbase and width, lending it a reasonably aggressive stance. The sporting looks are backed up by changes to the suspension that stiffen the car. The body is already 10% stiffer than the X1 upin which it’s based, and modified suspension geometry and dampers adds an extra degree of firmness, but the payoff is increased agility. 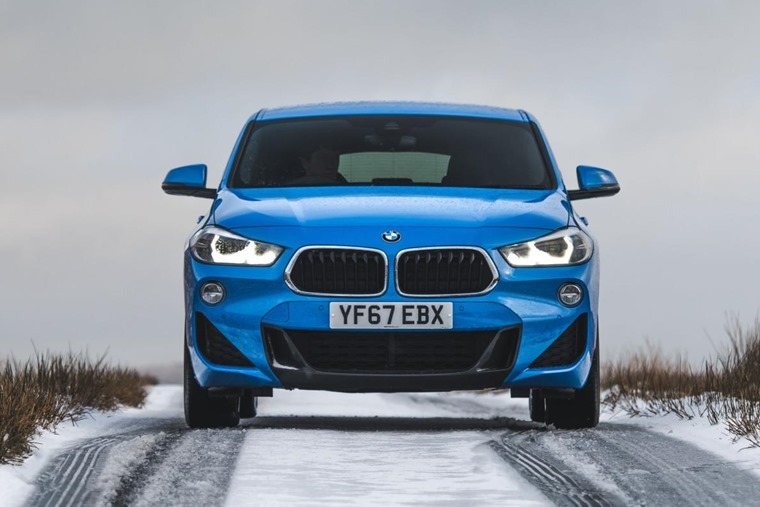 The M Sport cars, riding on 19in wheels, are lowered marginally as well, but the optional adaptive suspension does a good job of ironing out the bumps in the road. That optional suspension costs just £150, and is a worthwhile investment. In Sport mode it’s very firm, offering an uncompromising experience that will suit those wishing to feel like they’re making swift progress, but Comfort mode is really rather good. In Sport mode it’s very firm, offering an uncompromising experience. This softens up the suspension and relaxes the throttle reactions which, combined with the eight-speed automatic gearbox, makes for a relaxing driving environment. There’s four-wheel drive under the skin, although for most of the time it’ll be powering just the front wheels. 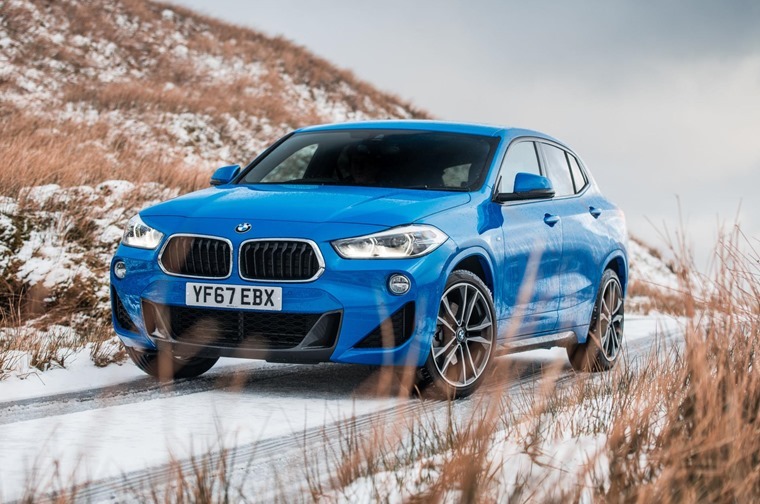 Only when traction demands it does the rear pair come into play, although BMW assure me that the car is capable of rather more serious off road shenanigans than you might expect. There’s hill descent control, almost as if to prove the point. BMW assured me the car is capable of rather more serious off road shenanigans than you might expect. Power comes from the usual 2.0-litre diesel engine, capable of generating 187 bhp and an impressive 400 Nm of torque. While not quite enough to move a mountain, it is enough to propel the X2 to 62 mph in just 7.7 seconds. It’s a smooth unit, despite having just four cylinders, and balances performance with decent economy. Officially it’ll return 58.9 mpg, while CO2 emissions of 126 g/km mean a BIK rate for company car drivers of 27%, although that rises to 30% in the new financial year. There’s a lower power diesel engine available, as well as a 2.0-litre petrol engine, with both being available in front-wheel drive, although not for a while with the petrol model. Sweeping roads are more fun than they might be on some rivals. The 20d model here is four-wheel drive only, while there’s also a more powerful 25d model coming in March next year. 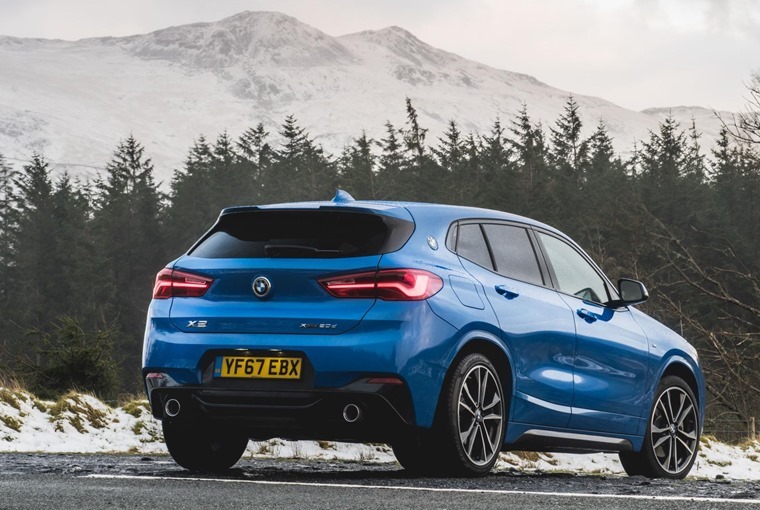 The X2 is ready to take a battery pack for hybrid motoring, but there are currently no plans to introduce an electrified model. Out on the road the X2 performs as you’d expect a BMW; it’s competent, predictable, but not necessarily as exciting as it could have been. So an SUV, but a well sorted one. That said, the mechanical grip and well weighted steering makes sweeping roads more fun they might be on some rivals. The steering offers some pretty strong physical resistance though, and self-centering was aggressive - this may be down to the M Sport Steering option fitted to the test car, but there wasn’t a car available without it to compare. 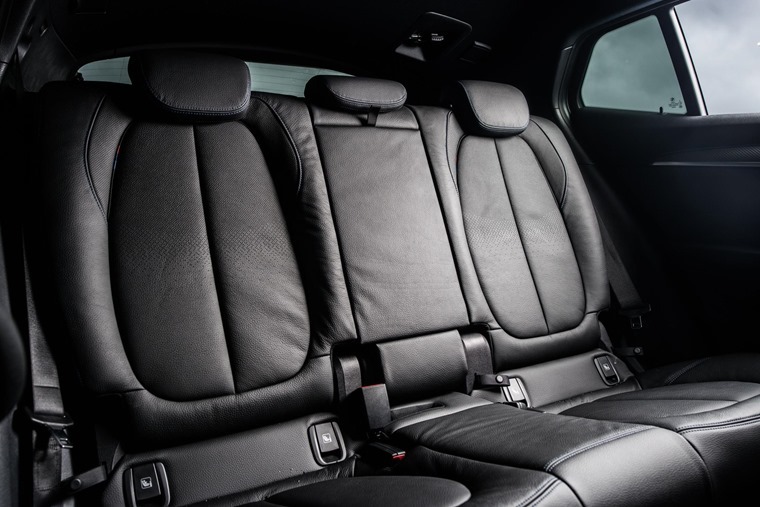 The front seats are magnificent, while the rears offer plenty of legroom. All models are equipped well, with the entry level SE getting 17in wheels, electric boot lid, automatic emergency braking, climate control and satellite navigation. Move up the ranks and there are bigger wheels, LED headlights and Alcantara or leather trimmed seats with contrast stitching. M Sport gets the sportier suspension as tested here, while M Sport X gets all of that and some rugged body cladding and roof rails. It’s all practical enough; the boot is a bit smaller than the X1’s at 470 litres, but bigger than the 1 Series. 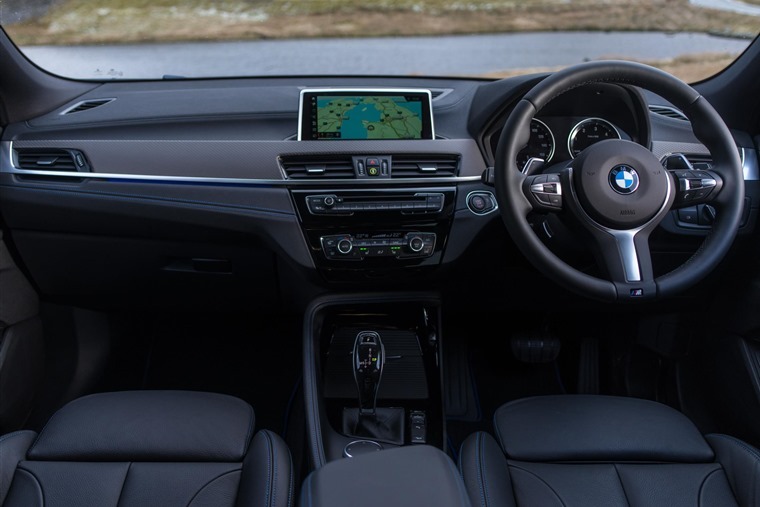 The front seats are magnificent, with a typically well designed and top quality, if slightly boring, dashboard, while the rear seats offer plenty of legroom but are a tad tight for width and height. If you do want something that blurs the lines between hatchback, coupe and SUV, you’ll have to pay for it. In 20d M Sport spec here it’s a significant £37,530, but low depreciation should keep leasing costs down, making it a viable personal or business car. Still, that’s a lot of money for something that, by its very nature, is a little flawed. 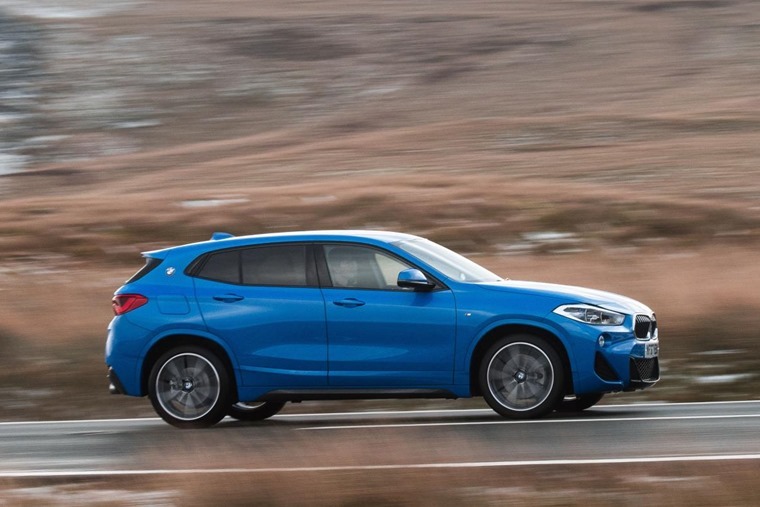 A four-wheel drive Golf R costs less and goes faster, while BMW’s own six-cylinder M140i is in reach for driving thrills. Low depreciation should keep leasing costs down. However, that doesn’t actually matter - the X2 will be chosen by those people that want something of this nature, and practicalities be damned. On that basis it’s the very best on the market, ahead of the Mercedes GLA and Range Rover Evoque. *Average lease prices calculated using ContractHireAndLeasing.com data (based on 6+35, 10k pa deals) and correct at time of writing.